With Superman running around, doing whatever he pleases, it became pretty clear that Batman needed to upgrade his gear to combat the Kryptonian threat. That normal gear is great for fighting thugs like The Joker and Harley Quinn, but when it comes to trading blows with super-powered enemies, it takes a little more than a normal cowl to get the job done. That's exactly what Bruce Wayne does in the blockbuster film and now it's time for your kid to do the same! Based on the Zack Snyder movie, Batman v Superman, this Dawn of Justice Light-Up Armored Mask is a child sized mask that gears your child up for a battle with the Man of Steel himself! 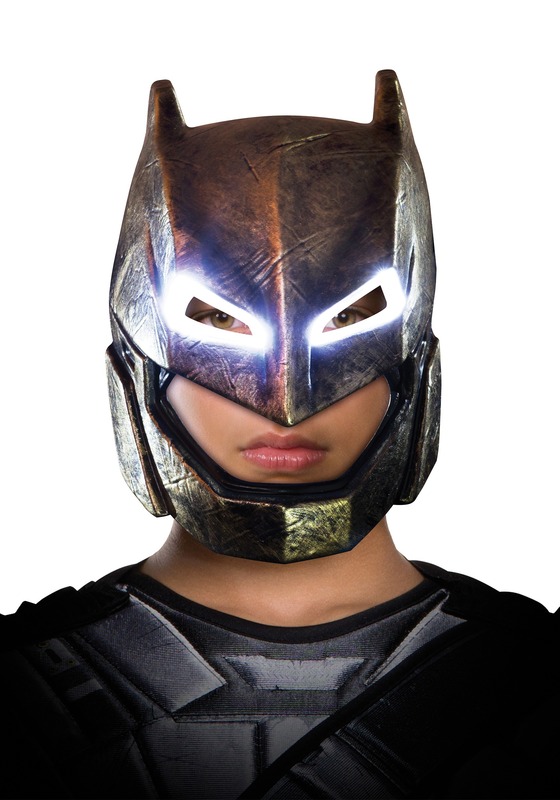 With realistic details, a metallic paint finish and real light up action in the eyes, this headgear gives any young Bruce Wayne an edge against all of his foes, even super-powered Kryptonians. Just make sure to teach your child some sick martial arts moves, because this mask is going to make your little one want to head out onto the streets of Gotham to battle the bad guys!